We’ve all heard of times past where ships heading to the new world loaded their galleys with oranges in order to help their crew avoid the demoralizing ravages of scurvy. So why then is the active ingredient, vitamin C, taken for granted or neglected in so many organizations that set sail on the open seas? What do I mean? 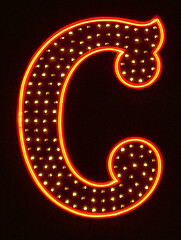 The essential component, “C”? is culture and it’s vital to help the crew and ship reach foreign shores successfully and in good health. In case you need a hint, foreign shores on the open water is a metaphor for executing the strategy that the “captain and their crew” have crafted sextant in hand. So why is culture so important to executing strategy? As a business leader or an entrepreneur you cannot simply assume that the operational environment and all of its norms will be known. The most effective leaders deliberately design a work environment that reinforces the “right” behaviors and enabling talent to surface resulting in higher amounts of creativity and contribution. The keystone is the behavior modeled by the senior staff in your organization. What is communicated, paired with the corresponding observable behavior, sets the tone for all others. This cannot be superficial and temporary but enduring in the designs and practices of leadership. Once the model is defined, articulated and espoused among leadership, the expectation of the organization becomes clear. And it cannot end here. The pillar members of the organization who are potentially outside of the formally defined leadership – perhaps experts or the emergent leaders that set the informal example to opinion leaders in the lunchroom – all have a stake and should all be espousing the consistent behaviors that reinforce the culture. But this process cannot run in a vacuum; there should also be a feedback system running in both directions to ensure that the “model in use”? (see Chris Argyris’ work) is indeed the actual observed behavior. Explicit organizational values, practices and coaching behaviors are all vital – omit at your peril! Building a healthy culture can help unlock latent talent, plain and simple. This is not superfluous or after the fact. Commitment matters and culture enables. Pixar is a great example of a company that does this well, but please share others by commenting on this post.